^ Gina M. Pérez (2004). The near northwest side story: migration, displacement, and Puerto Rican families. University of California Press. ISBN 978-0-520-23368-3. http://books.google.com/books?id=05v3gs-qWmYC&lpg=PA34&pg=PA34. 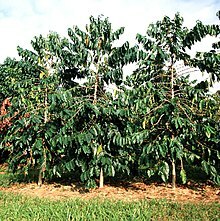 ^ “History of Coffee in Hawaii”. All about Hawaii. Honolulu Star-Bulletin. (1891). pp. 63–68. http://books.google.com/books?id=2uwKAAAAIAAJ&pg=RA3-PA63. ^ Merze Tate (1962). “Sandwich Island Missionaries: The First American Point Four Agents”. Annual report of the Hawaiian Historical Society (Hawaiian Historical Society). hdl:10524/84. ^ Hawaiian Mission Children's Society (1901). Portraits of American Protestant missionaries to Hawaii. Honolulu: Hawaiian gazette co.. p. 6. http://www.archive.org/details/portraitsofameri00hawarich. ^ Kona Historical Society (1997). A Guide to Old Kona. University of Hawaii Press. p. 6. ISBN 978-0-8248-2010-7. http://books.google.com/books?id=btEuhAXQOQkC. ^ William Harrison Ukers (1922). All about coffee. The Tea and Coffee Trade Journal Company. pp. 239–241. http://books.google.com/books?id=4O_RAAAAMAAJ&pg=PA239. ^ a b c Gerald Kinro (2003). A cup of aloha: the Kona coffee epic. University of Hawaii Press. p. 123. ISBN 978-0-8248-2678-9. http://books.google.com/books?id=wyw0JEuokwsC&lpg=RA1-PA123&pg=RA1-PA123. ^ Commerce reports, Volume 4. United States Bureau of Foreign and Domestic Commerce. (1917). p. 470. http://books.google.com/books?id=3xMpAAAAYAAJ&pg=PA470.